Mark Mathews, another Durham student who also happened to go to DTS, and I made our semi-annual trip to Cambridge together last week for three days. It was a great trip and I got quite a bit of work done. We intentionally timed it to meet up with Dan Wallace and his photographing crew. As part of the Center for the Study of New Testament Manuscripts, which he leads, they have a small goal of photographing every extant NT manuscript by 2020. They just finished shooting all those at the Univ of Michigan and will be spending a couple of months in the UK shooting things over here. We happened to see them working with some fragments from a 7th century uncial manuscript of Romans 8 that had been cut up and used in the binding of an old Latin book. The task of piecing it together was quite fun, especially since I’m currently writing a chapter on Romans 8. Rather than hanging out at Tyndale House, we spent the majority of our time at Cambridge’s Univeristy Library, which happens to be located fairly close to Tyndale. It was quite easy to get access to the library–you just have to show a current student ID card and have proof of address at a quick admissions appointment (see here). Even better, as a student at Durham, there is no fee and the library card is valid for the full term of your program, rather than the £10 for 6 months. Mark wanted to look at the Cairo Genizah document, so he got a letter of introduction from Loren Stuckenbruck for it. At his admissions appointment he got an extra ‘M’ on his card, so he had free reign access to all their manuscripts–not just the one he had the letter for. Quite nice. For internet access, they give you a temporary login/password good for 2 months, just go visit the Digital Resources Area. That’s not to say that everything is super easy there. You can’t take bags or water bottles in (like at Durham), so you have to buy a 20p clear plastic bag to carry your laptop and notes around in. Also, they have their own numbering system which doesn’t group all the books together for a particular subject, as it is partially determined by book size. But you get over that because as one of the UK’s ‘copyright’ libraries, the the Cambridge UL should have a copy of every book published in the UK. I happened to find one not in their system–Kovacs and Rowland’s Revelation commentary. Fortunately, Tyndale had it so I didn’t have to order it from Durham. Locals can only check out 10 books at a time (vs 30 at Durham + another 30 at St. John’s if you are a member), but you can leave your books you’re working on at your desk with a specific marker so you don’t have to reshelve and find them each day. While Cambridge’s physical holdings of journals is quite nice, I was surprised to find that they don’t have many more electronic versions of journals than Durham. We found a relatively cheap hotel next to the rail station: Cityroomz. The room was clean and all have en-suite bathrooms. However, they were tiny–think jail cell, with bunk beds. Since we only went there to sleep, it more than met our needs. Also, the continental breakfast was better than average. I had a brief chat with Richard Hays at Tyndale, who is on his sabbatical there this summer/autumn. It was nice that he remembered me from our car trip to Manchester earlier this year. He told me that he thought NTW would give me lots of work to do. I should have my kick-off meeting with NTW in the next week or two, and I’ll find out then the extent of the work expected of me. One other highlight of the trip was finding a duplicate book at Tyndale’s library–Hahne’s Corruption and Redemption of Creation: The Natural World in Romans 8:19-22 and Jewish Apocalyptic Literature (LNTS 336)–because it had been ordered under the Romans section and the eschatology section. I told the librarian that I would be interested in taking one of the copies off their hands if they were interested. She thought that would be good and gave it to me for £12! I also picked up a new copy of Pickett’s The Cross in Corinth: Social Significance of the Death of Jesus (JSNTS 143) for £6 at Galloway and Porter. I’m not a big book buyer, but these were too good to pass up. A friend of mine studying theology and art passed along an interesting website to me: Art and the Bible. You can search by topic or look up biblical passages, and it has related artworks listed with the text. I know if I were doing the proper academic thing I’d do one of the first two, but they sound so impersonal. Should I just grow up and use the full one or what? I stumbled across this really interesting web site that lists just about every modern commentary written about the Bible: BestCommentaries.com. 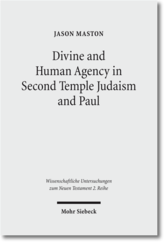 You can search by OT/NT book, commentary series, and author. It also lists tons of ‘forthcoming’ volumes as well. 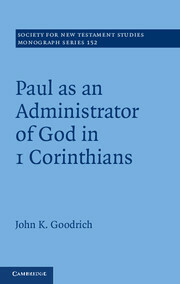 Each commentary has a ‘tag’: academic, pastoral, devotional, and/or special study. The sort functions and favourites lists by different people is also handy. A couple of drawbacks are that 1) it only lists english language commentaries and 2) it does not list commentaries for the Apocrypha and the Pseudepigrapha. 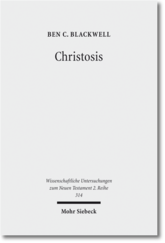 Phil’s done another great job on the most recent Patristics Carnival: XIV. 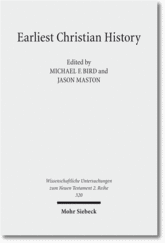 I think I’ve got my first mention on there with my Patristic Biblical Citations post. Wright’s been the Bishop here in Durham for about 5 years, and several of his larger writing projects have been put on hold because of his ecclesial responsibilities. He recently decided to hire an assistant to do the leg work with bibliographies, summarising, photocopying, etc. 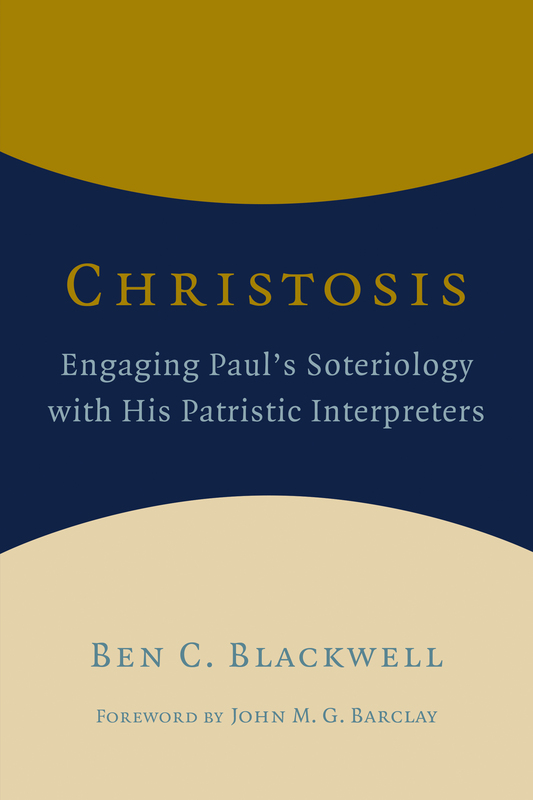 in preparation for his upcoming book on Paul in his Christian Origins series and for a couple of commentaries he’s working on: Galatians (Two Horizons) and Philippians (ICC). He had briefly mentioned the idea of it when we had the Durham-Duke dinner there, and I don’t really remember thinking much of it. But when we got the email through the department a couple of weeks ago, I thought I should jump on it. I had the interview Thursday, which for part of it also included his wife and ecclesiastical right-hand man, and got the offer Friday morning. That was the first time I’d really ever had a conversation with him, and I found him to be very friendly. I’ll be doing about 10 hrs per week until my thesis is finished, Lord willing, about this time next year, and it looks as though we’ll be in Durham for a year after that (until summer 2010). I’m really stoked about it. And it came just at the right time. With the UK phd only being 3 years, having a 2 year commitment was difficult for most, but since we were hoping to extend our time here by a year anyway, it was a good fit. Plus, if he were doing any other NT subject I would definitely be out of the running. So it’s one of those right time, right place instances. A friend of my has a nice essay on the role of scripture and tradition in the evangelical context. See here: Tradition & Scripture: How Tradition Can Contribute to Evangelical Alchemy. Responding the the abuse of sola scriptura, he promotes the concept of prima scriptura. I’ve not read much [ok, nothing] in the area of sola vs prima, but it seems like sola presents the ideal while prima captures what actually happens. That is, we say we rely on the Bible alone for our theology, but so much of our interpretation of the Bible is mediated through tradition, whether we admit it or not. (See Gadamer and Jauss on the place that our historical position plays in our interpretation). Thus, while we critique tradition based on the Biblical witness, we are inherently biased interpreters of scripture. In another area, it seems that the progeny of the Reformers were the ones who took sola scriptura too far. Calvin and Luther were both very connected to patristic writers, allowing their theology to be very formative, but their progeny seemed to move further on the spectrum than what their mentors modeled. This I think was also heavily influenced by the enlightenment and the historical-critical method of ignoring tradition as well (See Louth’s Discerning the Mystery). But, I don’t know reformation history at all, so I could be off with that. By the way, here’s Vatican II’s take on Scripture and tradition. Anybody got any thoughts to argue for one or the other? I’m working on the justification for my thesis methodology–why is it good to re-interpret Paul in light of patristic exegesis of him. I doubt I’ll go too far into sola vs prima since this debate is more ecclesiastical in nature, but it’s a close corrollary.